I was out of town for a few days so episode #101 is a solo show, but I did not want to leave you, the amazing listeners without some fresh content for the week! I go over the geek news, then review two movies which are in theaters now: "Isle of Dogs" and "Pacific Rim: Uprising". Episode 100 is here! I could not think of anyone else to join me on this episode than the one and only Tim Hall, "The People's Critic". We talk about geek news, then review 4 new movies; "Itzhak", LOVE, SIMON", "7 Days in Entebbe", and "Tomb Raider"! 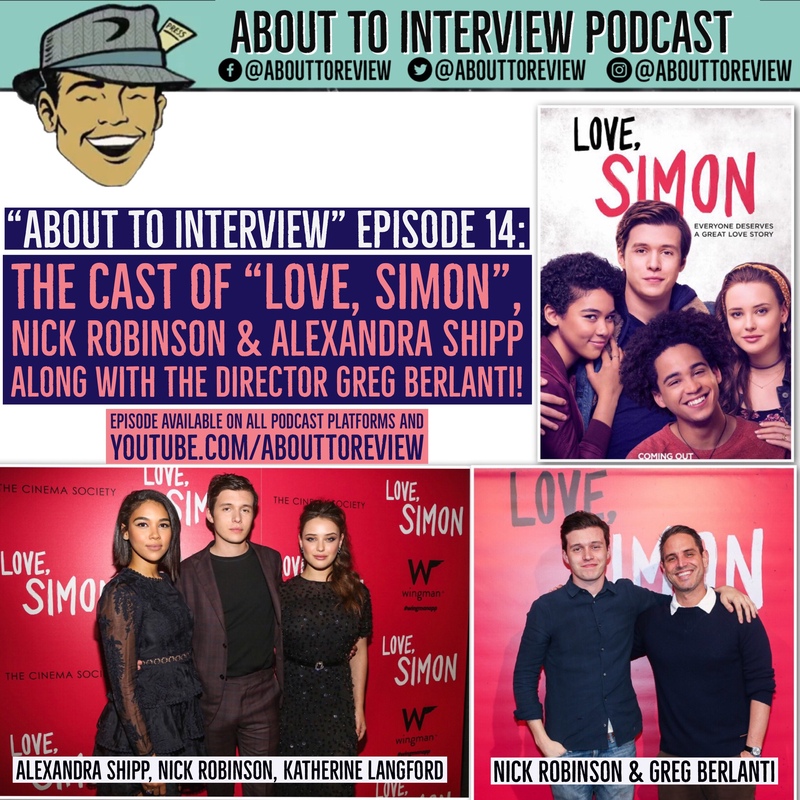 This episode of the "About To Review"/ "About To Interview" podcast has the director, Greg Berlanti, and two of the stars, Nick Robinson, and Alexandra Shipp of the new coming of age teenage romance movie "LOVE,SIMON" (IMDB.com/LOVESIMON). ATR #99 – Maktub, Gringo, and Thoroughbreds, with Chris Lamberth! Returning guest Chris Lamberth of "The Mundane Festival" joins the show as three new movies are reviewed: "Maktub" which was part of the Seattle Jewish Film Festival, "Gringo" and "Thoroughbreds"! The countdown to episode 100 is almost here!